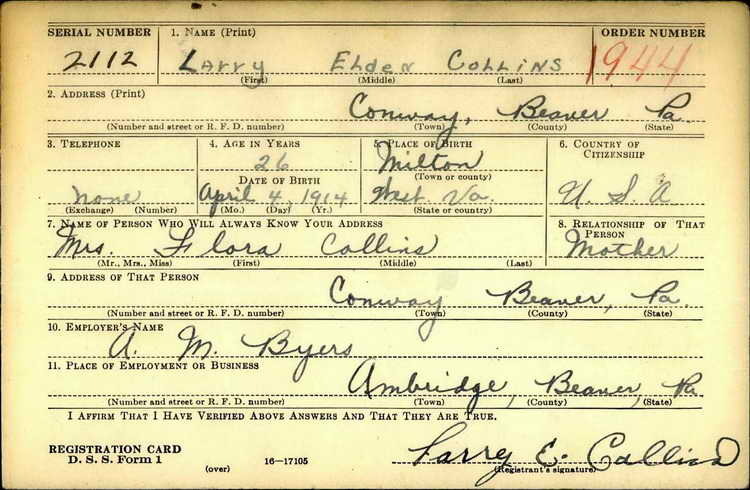 Draft Registration Card for Larry E. Collins. 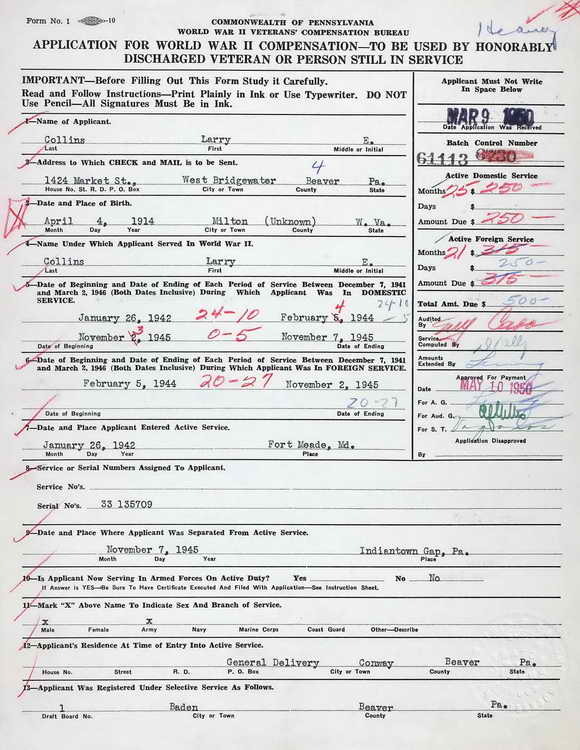 Larry enlisted in the Army at Fort George G. Meade, MD on 26 January 1942. On 21 August 1945, Pfc Collins was transferred fro the 17th Airborne Division to Hq 2nd, 508th PIR. He was discharged at Indiantown Gap Military Reservation, PA on 7 November 1945. 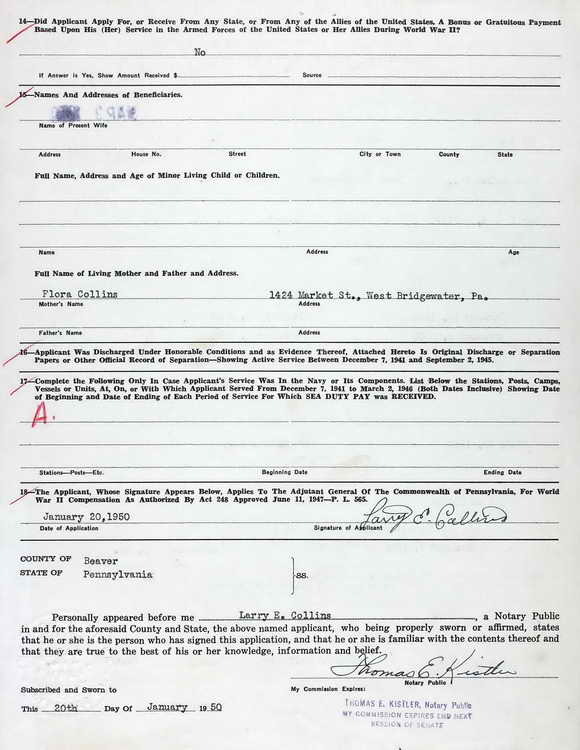 Pennsylvania Veterans Bonus application submitted by Larry Collins on 20 January, 1950. He was credited with 25 months of domestic service and 21 months of foreign duty and received the full $500 bonus amount.